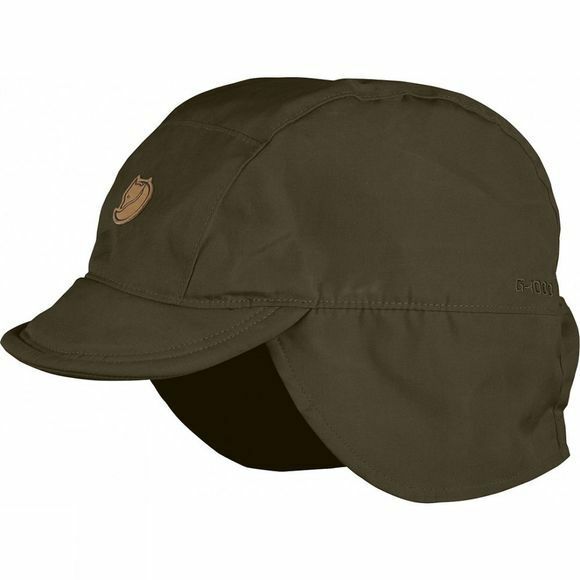 The Singi Field Cap is a practical touring cap with a short brim for protection against both glaring sun and cold winds. It is made from water-resistant, windproof and breathable G-1000 Original with a warm and moisture wicking fleece lining. The brim has a wired peak for sturdiness and so it can be shaped, but it is still soft enough to be stowed in a pocket when not in use. The ear flaps can be folded up or down depending on the weather and level of activity.